Over the last few years, eyes across the globe have been on Edmonton with highly anticipated projects such as Rogers Place, the new Royal Alberta Museum and Stantec Tower. And while some of the city’s upcoming projects are less flashy, they’re still just as impressive – and just as Edmonton. The already world-class music venue is set to undergo major upgrades in the next few years. The estimated $53 million dollar renovation will expand the building into an adjacent parking lot, adding rehearsal space, a smaller performance venue, classrooms and a daycare. Winspear representatives say the goal is to open up the facility to the community on a regular basis, making it an even more integral part of the city’s downtown core. The project is expected to generate around 2,000 jobs and should be completed by the Winspear’s 25th birthday in 2022. Sometimes new projects are significant not in themselves, but instead for what they represent to Edmonton as a whole. Holyrood Gardens, a 1,200 residence infill to replace 160 deteriorating townhomes, is one such project. 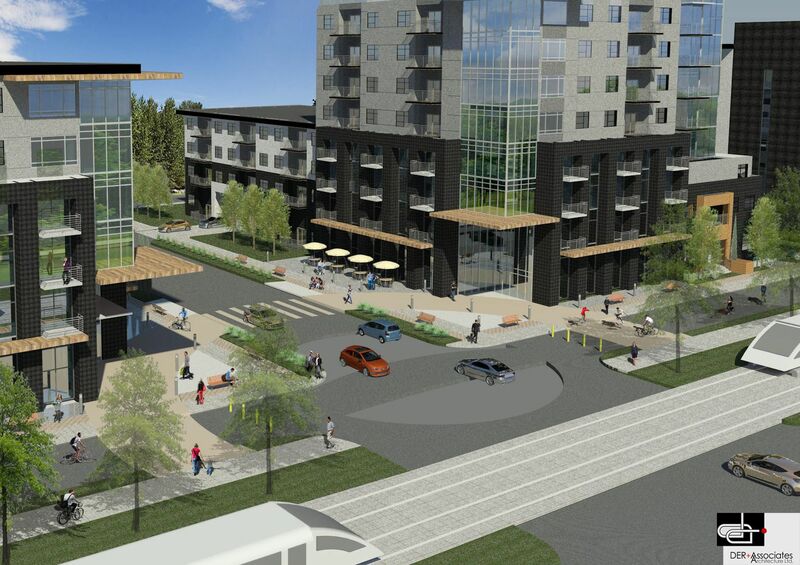 Set to include two 20-storey towers, a transit plaza and 12,000 square feet of retail bays, Holyrood Gardens will cover four acres running along 83 Street. While the City has slowly been increasing the percentage of infill projects approved over the last few years, the number is still much lower in comparison with other major cities. But, the recent approval of Holyrood shows a move toward creating a denser, more walkable city that can still grow without expanding further into outlying green areas. 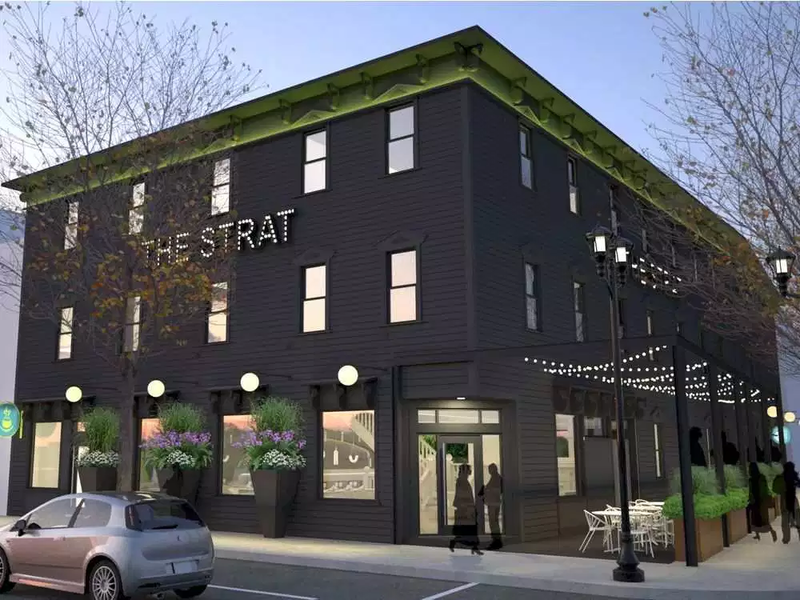 Better known as the Strathcona Hotel, this Edmonton landmark has been a place to stop for a drink and a good night’s sleep since it first opened in 1891. The oldest wood-framed commercial building on Whyte Ave has been purchased by Beljan Developments, who plans to bring the heritage building into the next generation with a full-out facelift and interior renovation. However, those concerned about the preservation of the building’s history can rest easy knowing any changes must be approved by both the city and the province. What began as a passion project by an Edmonton restaurateur is now a reality thanks to donations from the Old Strathcona Farmer’s Market and one of the world’s largest cannabis companies – Edmonton-based Aurora Cannabis. The recently completed six-storey mural by Spanish artist Okuda San Miguel is a significant work onto itself, but it also hints at what’s to come in Edmonton’s public art scene. As San Miguel says, “the streets are for everyone” – and the streets of Edmonton are about to get a lot more colourful thanks to organizations like Capital City Cleanup and events such as the Rust Magic Street Mural Festival.